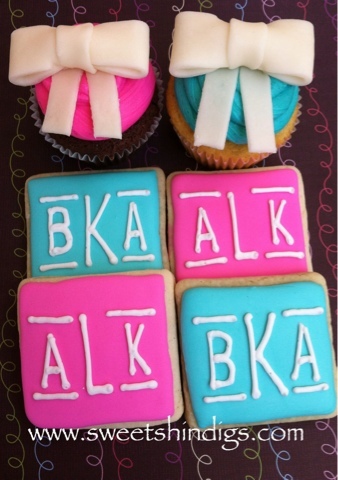 Cookies and Cupcakes for a birthday party. 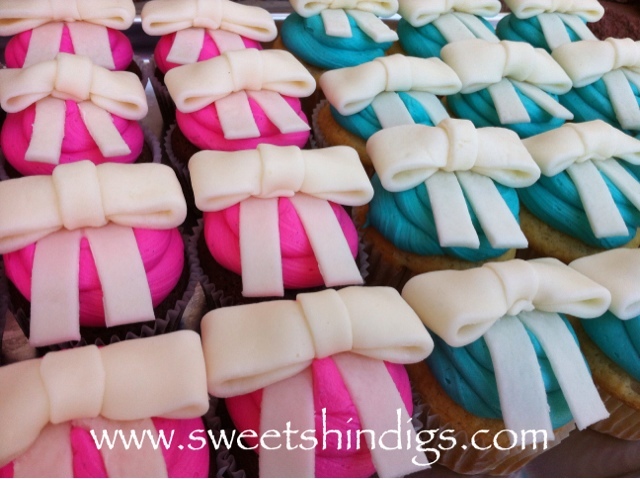 Hot Pink and Tiffany Blue theme sweet treats. 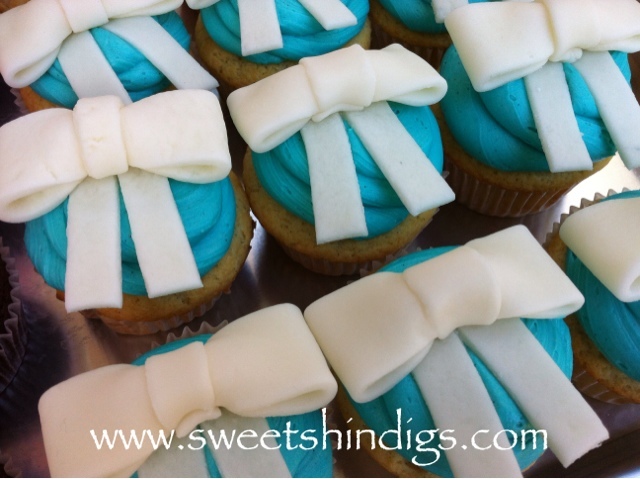 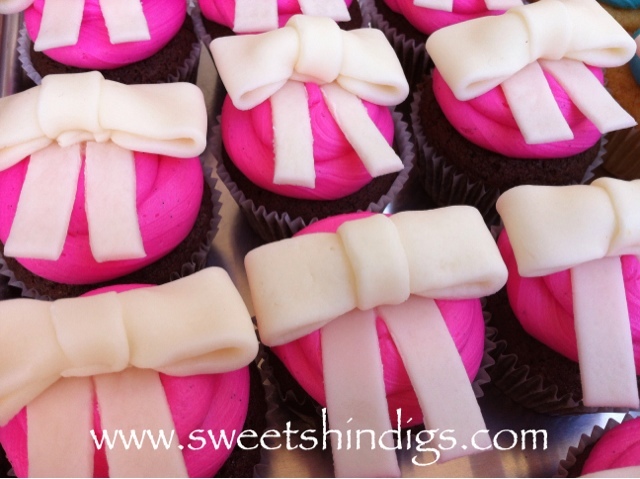 The cupcakes were a tiffany blue and hot pink frosting with a white 3D marshmallow fondant bow. 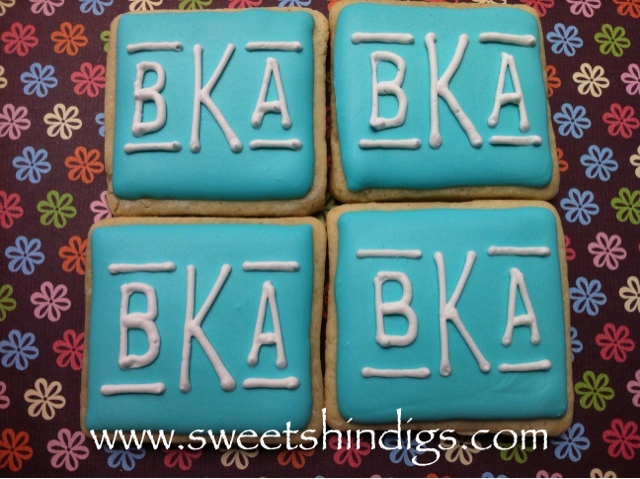 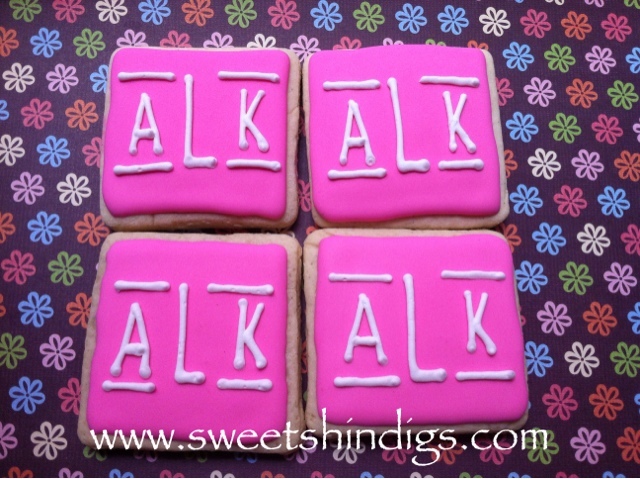 The sugar cookies had the two friends monograms.